China top supplier DC Solid control can provide a wide variety of linear and balanced elliptical motion shakers, mud cleaners, desanders, desilters, and centrifuges, each of which can be tailored to your requirements, from recycling to dewatering drilling fluids. 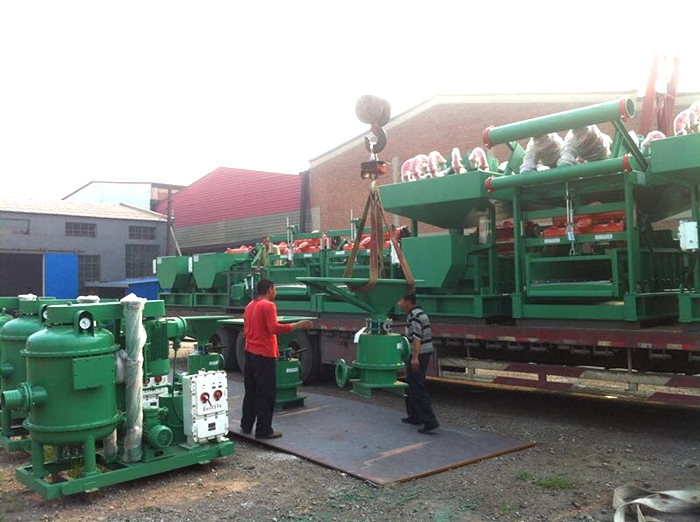 Now, our company are manufacturing a set of 500GPM solid control system for Egypt waterwell drilling project. DC Solids Control 500gpm mud system is functioning well there with Clients’ trailer. The client design along with fabricate the trailer in your area, meanwhile, we design the proper size mud system and also mount it on the trailer home. 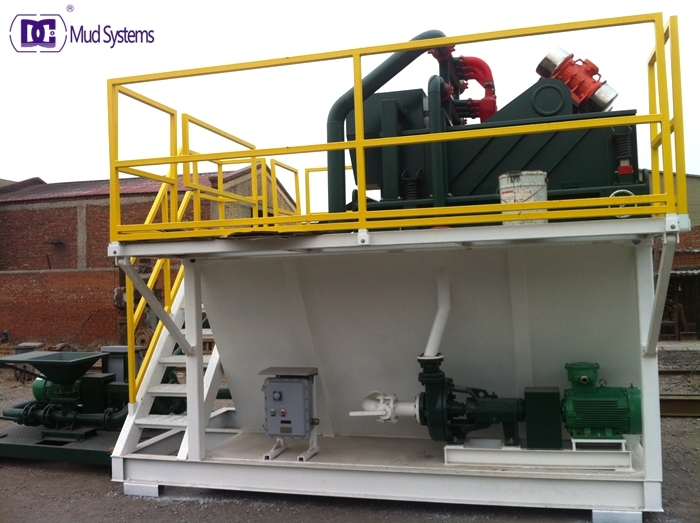 The mud system is by using two main equipment, shale shaker & mud cleaner . Each equipment is with dealing with capacity 500gpm. 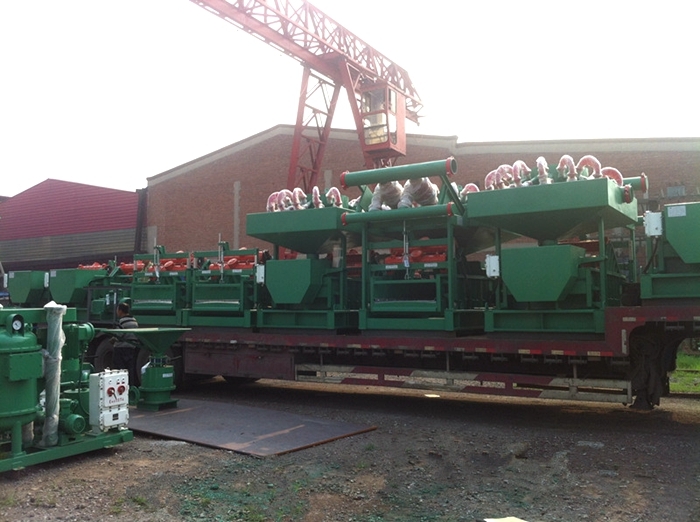 Shale shaker DCS700-3 is with 3 panel shaker screen to remove the top solids up to 100microns. 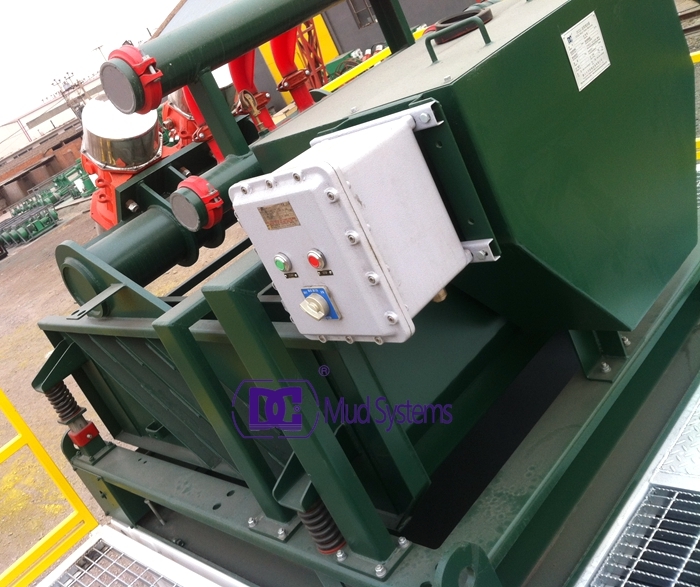 Mud cleaner DCQJ200X1/100X8 with 1 set deck shaker as well as 8 each desilter cones to remove the solids approximately 30-50microns. DC Solid control specialists also provide, for sale or rent, unitized recycling systems capable of cleaning drilling fluids at a rate of 150GPM to 1,000GPM (568l/min to 3,785l/min). In addition, we manufacture shaker screens that are compatible with every brand of solids-control equipment in the industry. 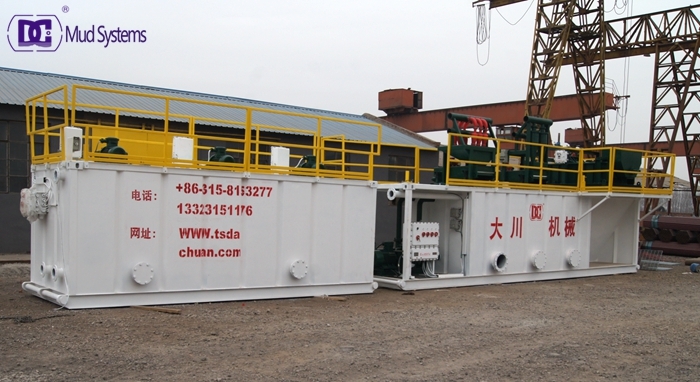 HDD mud recycling system is designed according to the requirements of trenchless technology. It’s applied to handle the returned mud from underground in Horizontal Directional Drilling. Mud recovery system is designed with benefits as reasonable structure, favorable treatment process and a wide range of application fields. 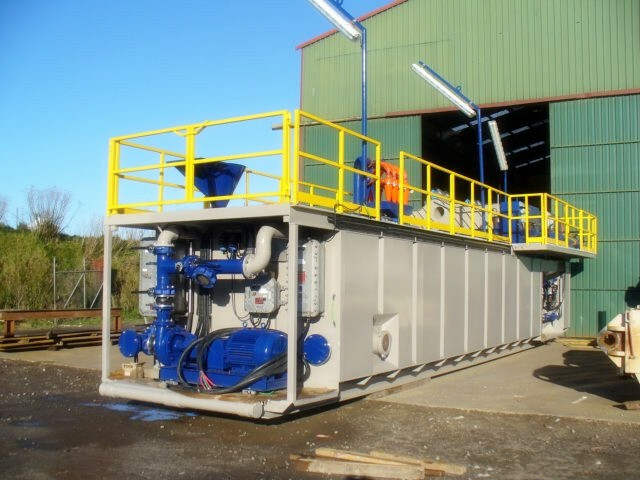 Multifunctional and integrated design to meet mud purification, recycling, preparation and storage, greatly reducing overall dimensions of the tank system, meeting HDD requirements on site and space. Explosion-proof, rainproof and dustproof electric system to ensure construction safety and quality. With simple and compact structure, light weight, foldable or dismountable walkway and guardrail, being easy for transportation and installation. DC Machinery is a specialist provider of separation and filtration services to various markets ranging from the Oil & Gas and Petrochemical Industries to the provision of services to agricultural industries. DC Machinery is proud to offer an unrivalled fleet of decanter centrifuges to client requirements. Yesterday, DC Machinery shipped 3Sets ZJ40 mud system for Russian clients. 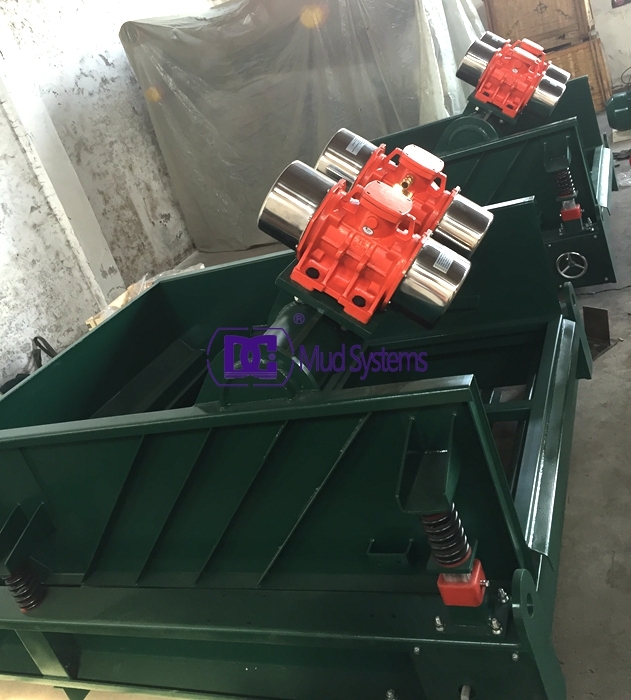 The mud system mainly include 6 sets shale shakers, 3 sets mud cleaners, 3 sets decanter centrifuges, 3 sets vacuum degasser, mud agitator and centrifugal pumps. 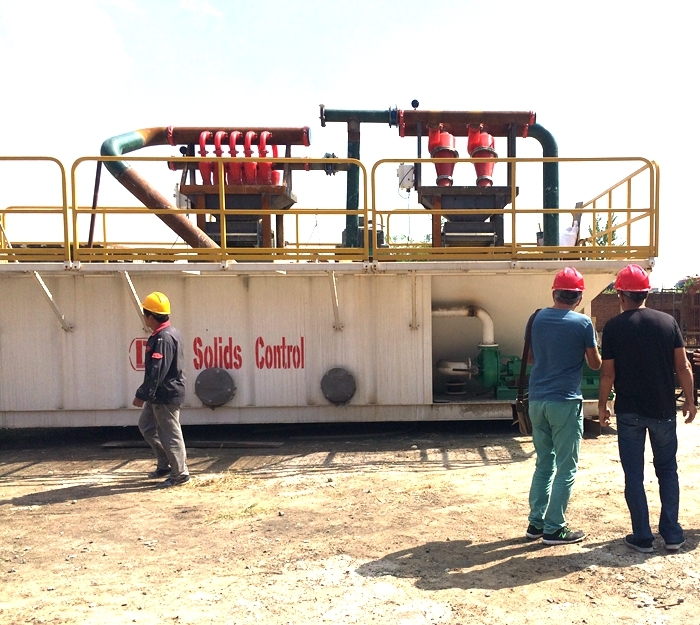 Solid control equipment is used in drilling rig to separate the solids in the drilling fluid that are crushed by the drill bits and carried out of the well surface. Normally solids control system is consist of mud tank, shale shaker, vacuum degasser , desander, desilter, centrifuge ect. DC Machinery strive to provide to its clients quality solid control equipment which provides better performance with minimum error. Drilling fluids recycling systems can provide horizontal directional drilling (HDD) contractors with a multitude of benefits and savings. A drilling fluids recycling system is also a mixing system, and includes a centrifugal mixing pump, mixing hopper and mixing jets located on the bottom of the tanks/compartments to keep the drilling fluid agitated. These benefits and savings include a reduction in drilling fluids products required for a project, lower shipping costs to get these products to the jobsite, a cleaner jobsite, less water needed for mixing drilling fluids, a reduction in disposal cost of drill spoils, along with less labor and trucking to haul drill spoils away. 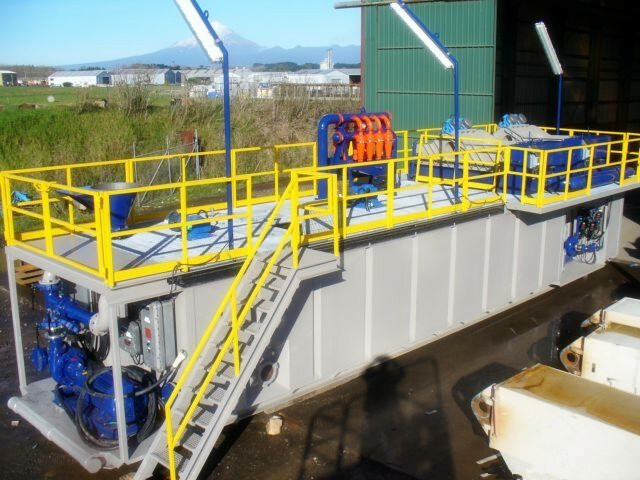 A drilling fluids recycling system is only as good as the manner in which it is operated. Without a thorough understanding of how the equipment works or what drilling fluids products to use with a recycling system, and/or how to properly test and maintain drilling fluids properties, even the best recycling system in the world is a wasted investment and improper use of this equipment can cost a contractor to lose a bore. DC Solid control can provides you the complete service of drilling fluid circulation system. If you want to know more and purchase more cheaper equipment, please contact our office, there you will getting big discount of it. 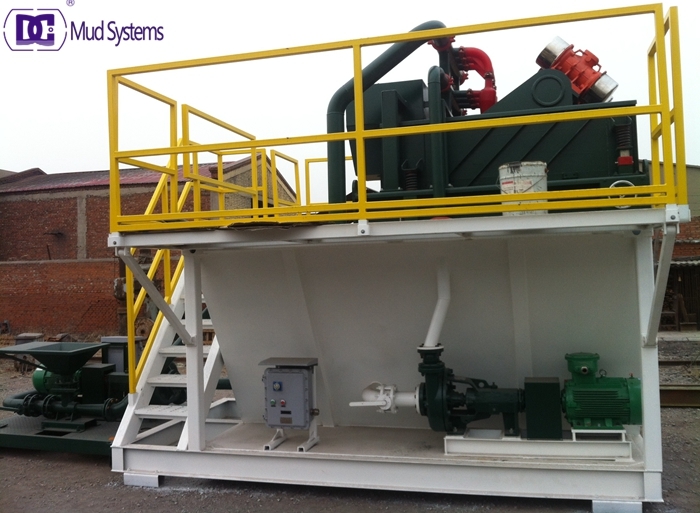 The mud system is engineer designed to clean, recycle and mixing drilling mud in one mud tank package. The flow capacity is 500gpm + with shaker operating at 40 mesh screens and mud density 1.2g/cm³. Which is widely used in Horizontal directional drilling field. 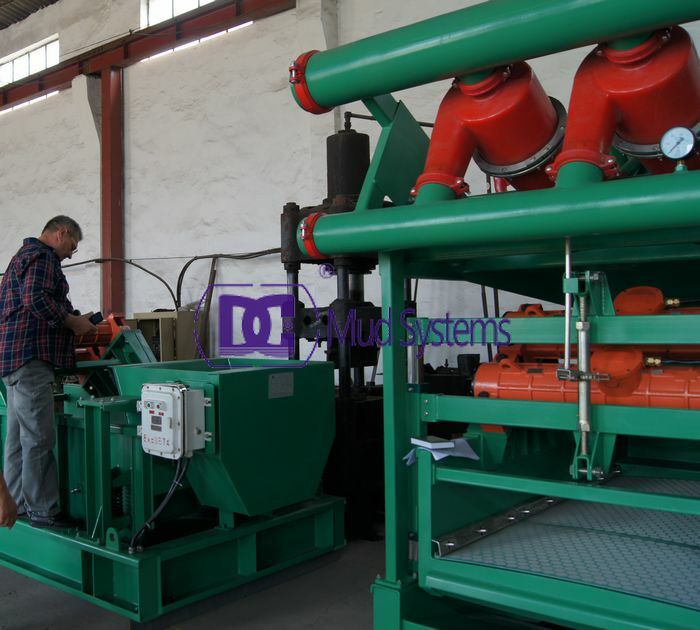 Complete line Mud System: different flow capacity Self-Contained Mud Recycling System. 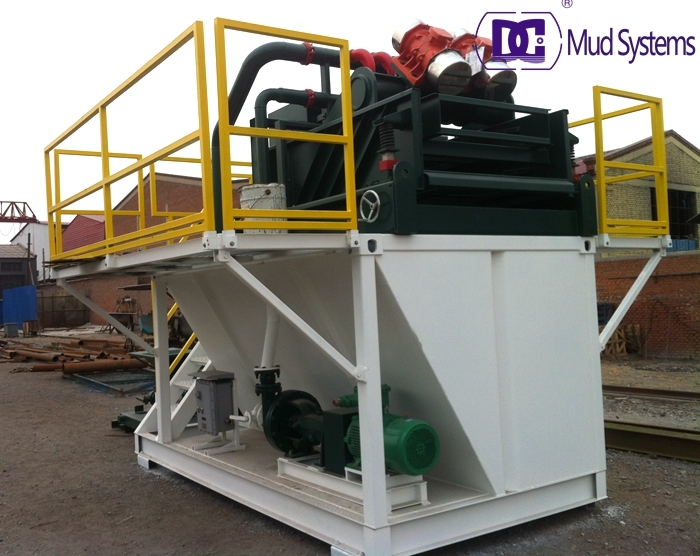 Cost Effective Equipment integration: Complete drilling mud equipment from a single source-DC Solids Control Factory. Fast moved compact system: Small footprint design with fast connection for removable parts and most parts fixed while traveling meet transport regulation. Assured customer service: We can send our experienced engineers for installation,and training up customer engineers. Mud Tanks Flexible Options: Skid Mounted or Trailer Mounted or Hydraulic Jack Up mud recycling Tanks available for your options. In developing our solids control systems, DC Solid control went far beyond a one size fits all approach. We recognized that each project and each rig is different, and that diversity extends to the solids control. HDD Mud Recovery System, designed and Manufactured according to the feature of Horizontal Directional Drilling Rig. 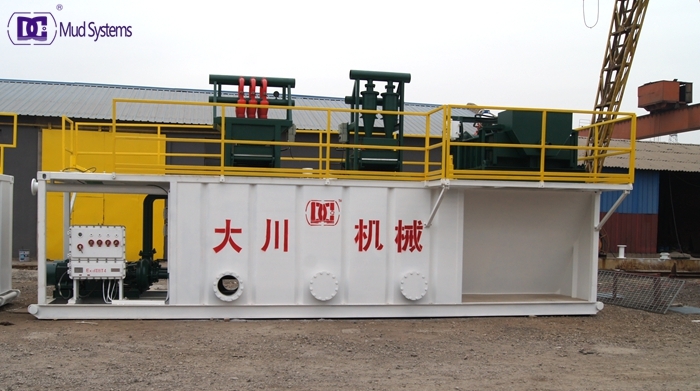 DC Solid control company is a professional manufacturer of drilling mud equipment. The main product of ours is shale shaker, desander, desilter, vacuum degasser, mud agitator, centrifugal pump and ect. Hope can get your notice, I will updating more things in the web. Meanwhile, is you have some interests with our product, please directly contact me. There you will getting more discount. In the early winter, We welcomed our new business cooperator from Mexico who is in a influential drilling service company. They want to change their ZJ50 drill rig solid control system in 2017. So they placed a trial order to us. They only orderd a shale shaker and a mud cleaner in this trial order want to know more our service and technology level. According to about 1 month communication and production, they were very satisifed with our professional technology level and All-wave service. So they are planing the ZJ50 orders once they coming back to Mexico. DC Machinery is a company focuses on solids control systems‘ production, sales and after-sales maintenance service. We have impeccable Pre-sales, saling and after sales service. DC Solids Control manufactures various mud systems to meet the demands of different drilling site. DC Solid control has a range of technologies and services to help you clear solids from your circulating system, so your fluid performs to its maximum potential and your drilling operations run at safe and sustainable rates. At the begaining of Nov, DC deliveried batch solid control equipment to Kyrghyzstan. The order placed by our old partner who is a big contract company in Kyrghyzstan. The order including our most part solid control equipment, such as mud agitators, sand pumps, vacuum degasser and centrifuges. Although the price of oil and natural gas is lower, but have no effect on our business with the clients. To be as top supplier of solid control manufacturer in China, we will be getting more and more better during the period of bad drilling market, to reserve more kinds of existing model solid control equipment and developing more new modern solid control equipment. At present, DC solid control has in stock of all common used solid control equipment and enjoy a big discount, if you have urgently requirements of it, we will be your best choice.